Mercedes-Benz G-Class PDF Workshop and Repair manuals, Wiring Diagrams, Parts Catalogue, Fault codes free download! Mercedes-Benz G-class, sometimes referred to as G-Wagen, is a series of full-size off-road vehicles (off-road vehicles) manufactured in Austria by Magna Steyr (formerly Steyr-Daimler-Puch) and sold under the Mercedes-Benz brand. Available from 1979 to the present. The G-class was designed as a military vehicle on the proposal of the Iranian Shah Mohammad Reza Pahlavi, who at that time was a shareholder of the company Mercedes-Benz. The civil version of the car was introduced in 1979. 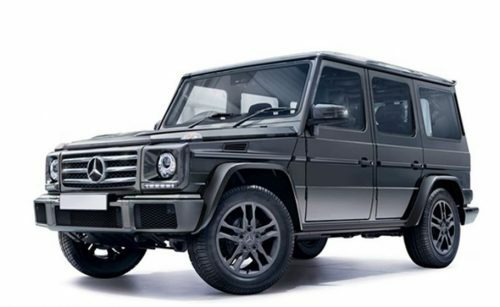 Unlike other series of Mercedes-Benz vehicles, G-class cars retain their unique appearance regardless of modification, whether factory or high-performance from the Mercedes-AMG division, for several decades already. Mercedes-Benz G-Class (G-Wagen or Gelandewagеn) – all-wheel drive off-road car from the German automaker. The main reason for the beginning of the production of this model was the need of the German army in an easy vehicle. In close cooperation with the Austrian automaker Steyr-Daimler-Puch, the army version was converted to civilian, and in 1979, serial production began. In 1990-1991, an updated version of the SUV (W461) appeared. Appearance has not changed much, everything also in the design was dominated by square shapes and straight lines. At the same time, the chassis was modernized, a generation of the W463 with a converted interior appeared. In 1997, the model was again updated. There was a body with a removable top (cabriolet), in addition, two new engines were added to the line of power units: a 2.9-liter turbodiesel and a 3.2-liter petrol engine. The G-Class was very popular with numerous tuning companies, which changed and modified the interior, exterior and mechanical part. In September 2006, the company showed a slightly updated G-class at the Paris Motor Show, and a 500-strong version of the G55 AMG was also presented. From that moment, Mercedes each year made various changes to the model, but this did not concern the appearance. Already almost 30 years the G-class is produced with the same design.